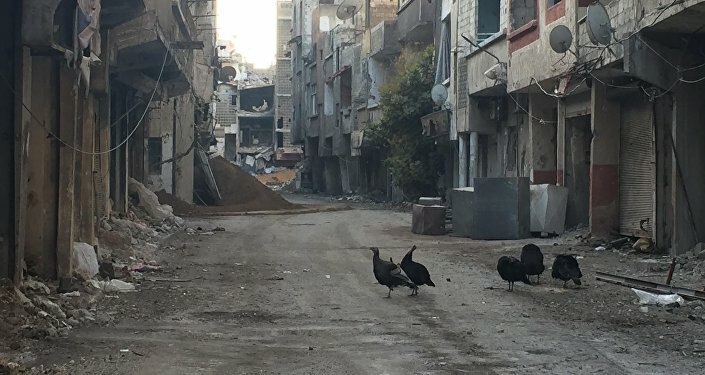 "Lavrov stressed that the illegal strikes on the territory of the Syrian Arab Republic on April 14, carried out on the eve of the arrival of the OPCW inspectors in Syria, threw back the progress that had been achieved with such difficulty in Astana and Sochi to promote the political settlement of the Syrian crisis," the ministry said in a statement. Earlier this month, the United States, the United Kingdom, and France launched airstrikes on Syria, targeting government facilities in response to reports of the authorities' allegedly using chemical weapons against civilians in the town of Duma. "At the same time, Russia is still open for dialogue with all partners in the interest of a just settlement of the crisis on a basis acceptable to all Syrian groups and in accordance with UN Security Council Resolution 2254," the statement said. The ministry added that Lavrov informed Le Drian on the results of the trilateral meeting of the foreign ministers of the Syrian ceasefire guarantor states held earlier in the day to address the latest developments in Syria. 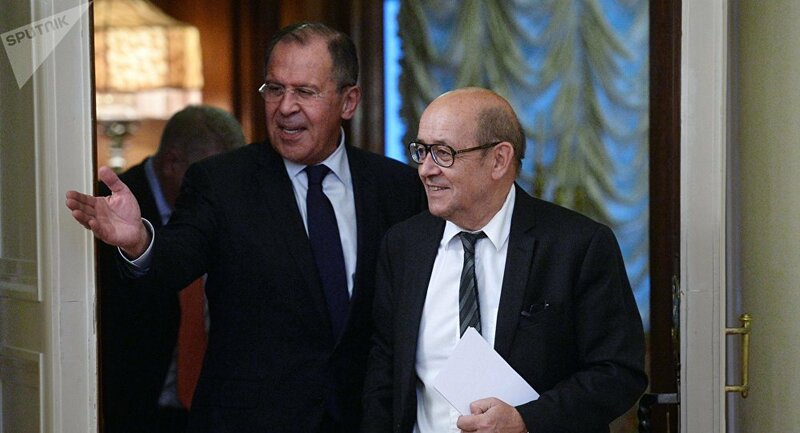 Lavrov and Le Drian also agreed to continue contacts on the Syrian issue. On Saturday, Lavrov, Iran's Javad Zarif and Turkey's Mevlut Cavusoglu met in Moscow to discuss the situation in Syria, including the strike by Western countries on Syria, and preparations for the ninth round of the reconciliation talks in Astana format. The final declaration of the ministers noted that the three countries would continue working on the protection of civilians and improving the humanitarian situation in Syria. Syria has been in a state of civil war since 2011, with government forces fighting against numerous opposition groups and terrorist organizations. Russia, along Turkey and Iran, is one of the guarantor states of the Syrian ceasefire. Moscow has also been assisting Damascus by providing humanitarian aid to the residents of the crisis-torn country.